Located between Montmartre and Pigalle the Royal Fromentin is a perfect place to discover many parisian treasures. On the Montmartre Hill you will discover with your own eyes a scenery of tiny paved streets as in a postcard. On the top you will be able to see the majestic Sacred-Heart Basilic whose iconic dome dominates the skyline of the North of Paris. Be sure to take a few moments to check the view from the esplanade at the entrance of the Basilic as it is one of the best of Paris. You can then head to the famous « Place des Tertres » dans have your portrait drawn by one of the many artists living in this arty bohemian neighborhood. 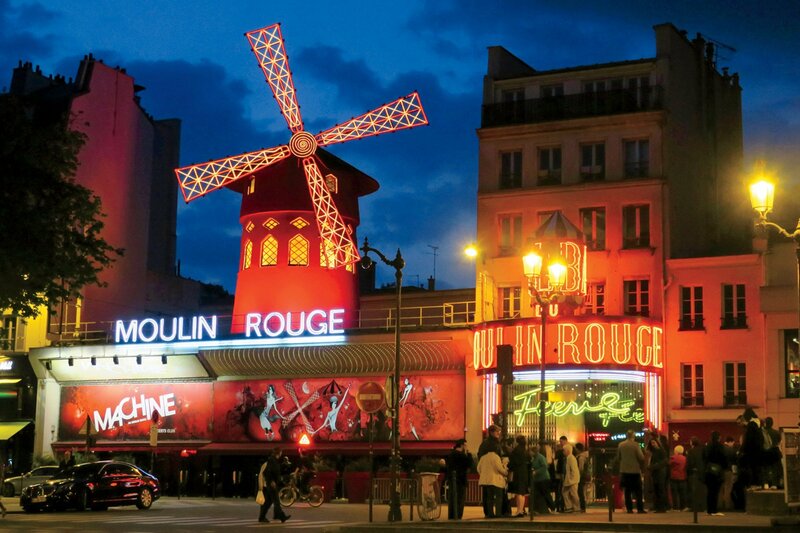 Down the Hill you get the the Pigalle area and its famous « Moulin Rouge » found only steps away from the Royal Fromentin. This area is known as the red-light district of the city but the South of Pigalle (SoPi) is also becoming an increasingly « in » neighborhood with many trendy bars, restaurants and concert halls. The Royal Fromentin hotel wanted to be a tribute to this bohemian and light-hearted Paris of the french Golden Age known as the « Belle Epoque » with illustrations and a bar themed after the mythic absinth alcohol.